Children Are Like A Wet Cement. Whatever Falls On Them Makes An Impression. 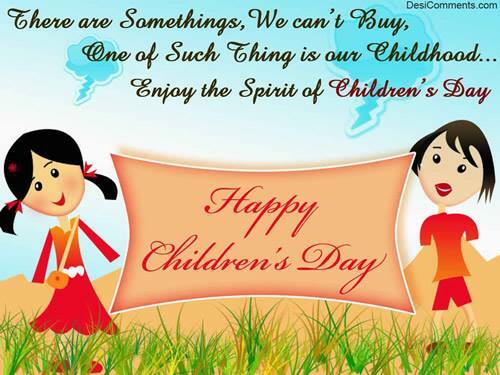 There r some things, money can’t buy, 1 of such thing is our childhood, enjoy d spirit of children’s day… Happy Children’s Day. 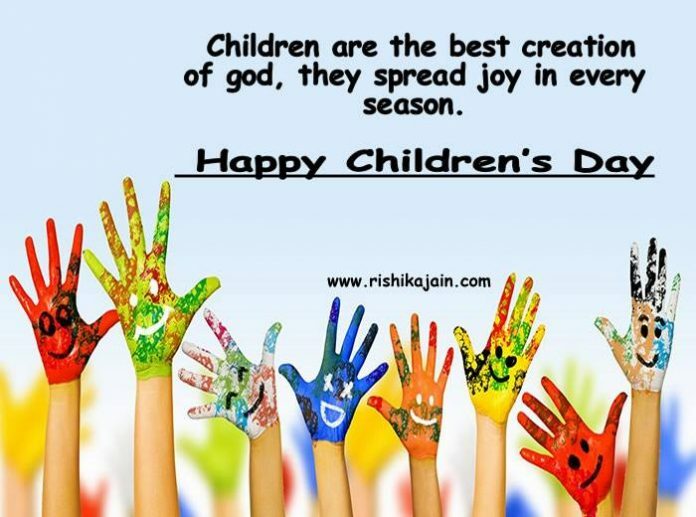 Children are the flower of life Let’s be kind to them , let’s make them happy and let’s help them .to save that child inside to the rest of their lives ! 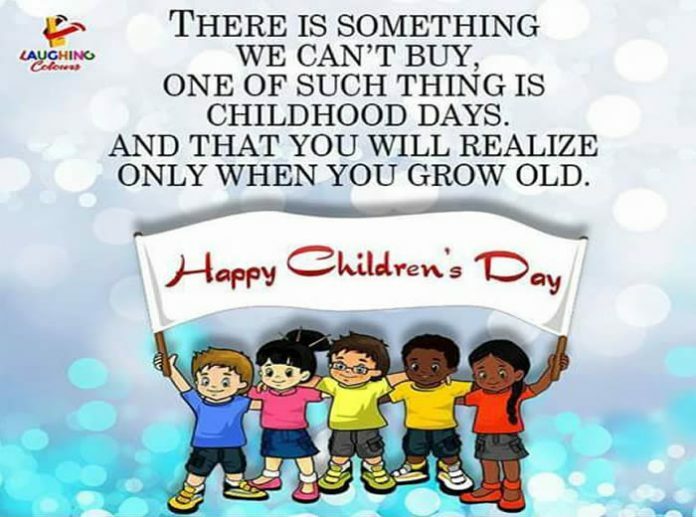 A very happy children’s day to you whether you are 8 or 18 or 80. Have a warm, wonderful and beautiful day full of love, life and laughter. Connect with your inner child, make the most of the moments that will fly. No matter how young or old we grow there’s always a Child in us wanting to enjoy each & every moment of life…and make the lives of others just as enjoyable. 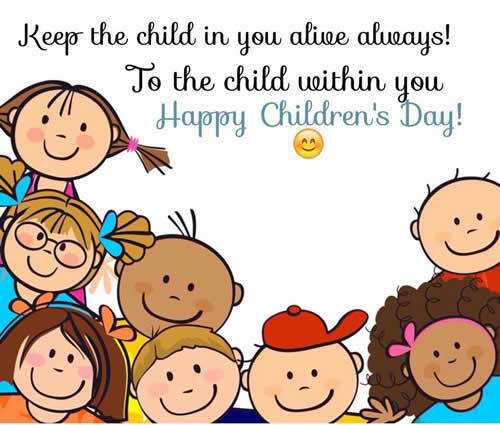 To that Child in you, A Very Happy Children’s Day. 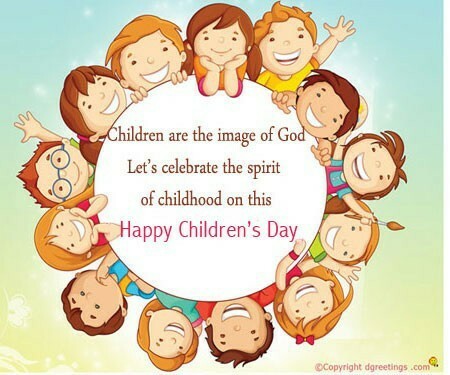 HAPPY CHILDREN DAY HAVE A DAY OF CHILDHOOD MEMORIES!